I stated the other day that i thought we'd be able to look back at our aquisitions during the summer window and say that we'd done ok.
at the time we'd had purchased duff and martins only and there was plenty time to bring in players for the other positions that needed filling. I was also trying to stay positive as the club does occasionally leave me 'pleasantly surprised' with its transfer dealings. now that the transfer window has closed and sum of our dealings is a midfielder, a striker, another striker (on loan) and a midfielder (who can also play as a striker) i wish to retract my previous statement and i now wish to officially state that we have done SHITE. Looking forward to Patrokles getting back to give us all a calming word tbh. 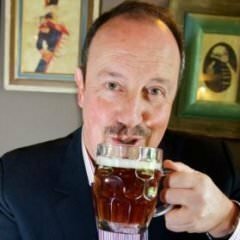 We've spent £16m for fucks sake! You're all thick! You ARE an accountant, aren't you Gemmill????? etc. etc. Who backed Souness? Come on, who did it? You did Gemmill. That's the crux of the problem. Surely rule number 1 is to start with a decent manager, especially if funds are short? Roeder has absolutely no pedigree in the transfer market and I bet there are a few more people worried now about his track record of getting teams relegated in his second year. All of this is Shepherd's doing ultimately of course; as Alex says, he has proved time and time again that he is incapable of learning from his mistakes. And with the rife nepotism running through the club, I can't see things improving. I really am not looking forward to this season now in the slightest. Aye Gemmill, WHERE IS IT? Yeah, but what have your qualifications to do with it. Apologies are a sign of weakness. I learnt that from John Wayne. I thought that was Ming the Merciless? Anyway loving somebody means never having to say you're sorry-Ryan O' Neal. Cheers mate. Assumed it had just sorted itself by magic there for a second. Is it John Mills in 'Ryan's Daughter'? Aye. It's my homage to the ladies of Dublin. It's Roeder innit?? Well the teeth are the same! Or have I been -ed?? Never been but it's funny anyway. I'm going to Galway next time, on your recommendation! Nice one, just watch out for the knackers, don't want anyone (well, you anyway) getting battered on my recommendation!